A selected treatment designed to remove dirt, grime and accumulated oily deposits from carburetors and fuel injection systems. It can also be used with great effect to restore tune to carburetors in situ, or with only partial dismantling, if these have become blocked stuck or dirty. 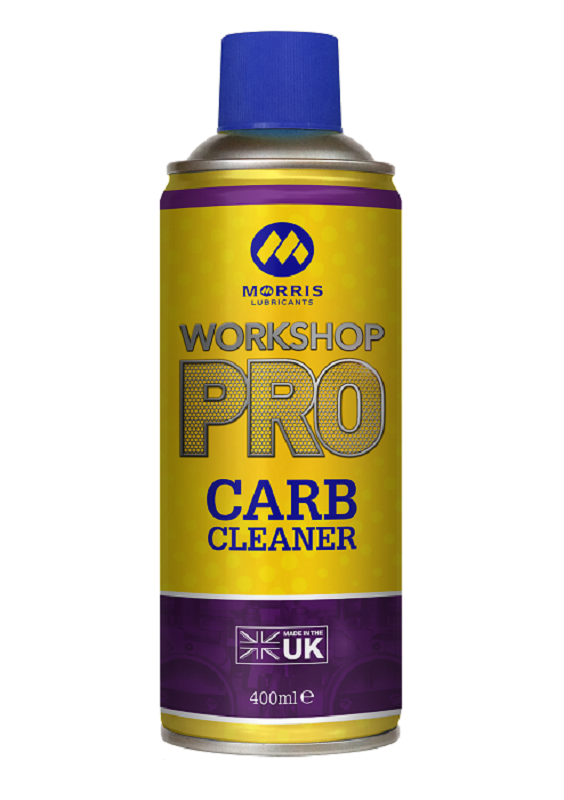 This makes Workshop Pro Carb Cleaner is a vital part of any pit crew kit. When sprayed in to the air intake this product cleans all parts of the inlet system, carburetors, port areas and inlet valves. In these areas it is most effective in keeping vital parts moving, and passages clear of gums and deposits, so a smooth system air flow can be maintained. This is vital because even slight surface roughness from deposits can ruin tuning and cause power losses. 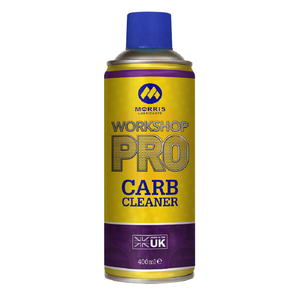 Workshop Pro Carb Cleaner can rejuvenate classic racing bikes by reducing deposit build up within carburetors, freeing sticking valves and cleaning the manifold and ports. This action can give lower emissions and improved performance in terms of increased power.